Overview: We had this plan of visiting the Shakuntala railway, India's only rail route operated by a private company on narrow guage. 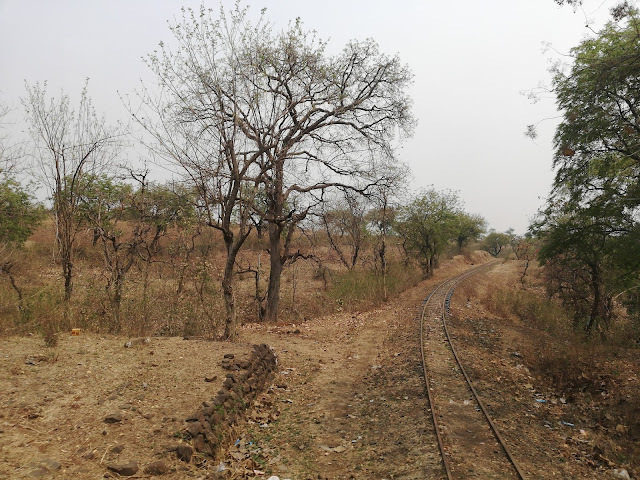 As I couldn't get leaves, we decided to make a very quick weekend visit to Yavatmal (originating station of Shakuntala Rail) and nearby places. We took an evening flight from Bangalore to Hyderabad and then overnight bus to reach Yavatmal on Saturday morning. 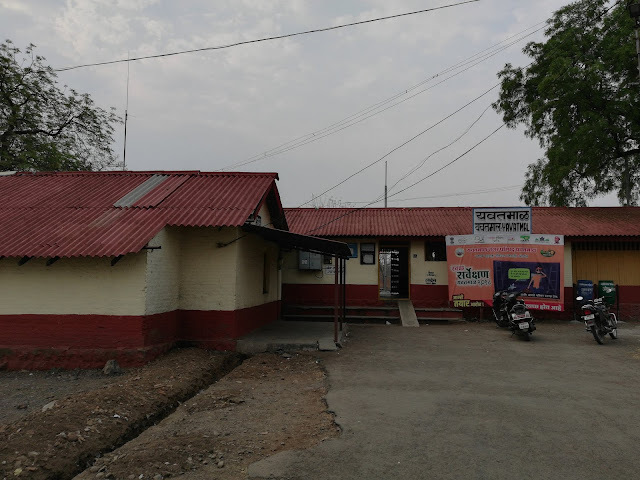 Without wasting much time we reached Yavatmal railway station. Much to our disappointment, the rail service had been suspended since July 2017, also there was no information on this anywhere on the web. 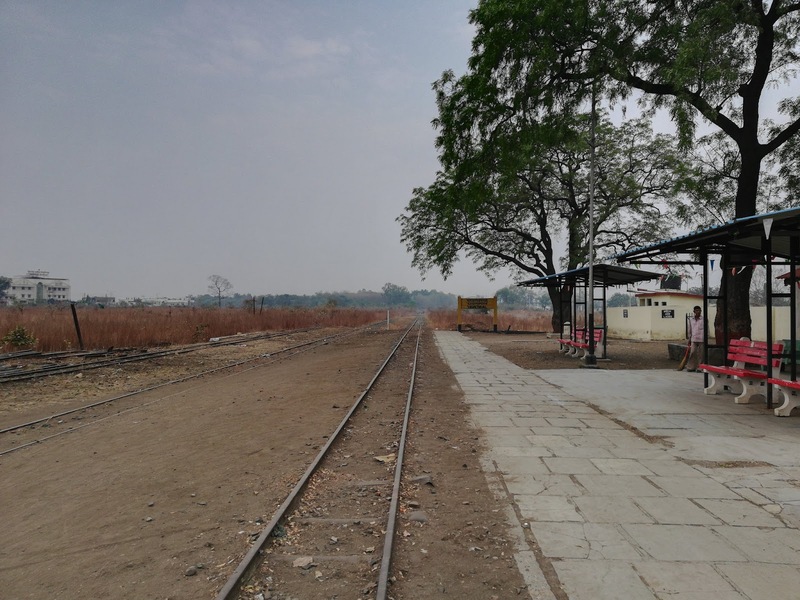 We somehow had to be satisfied with the photos of the railway station and then headed towards the ancient Hemadpanthi Mahadev temple just outside the town. There is another ancient Kedareshwar temple in the center of the town. 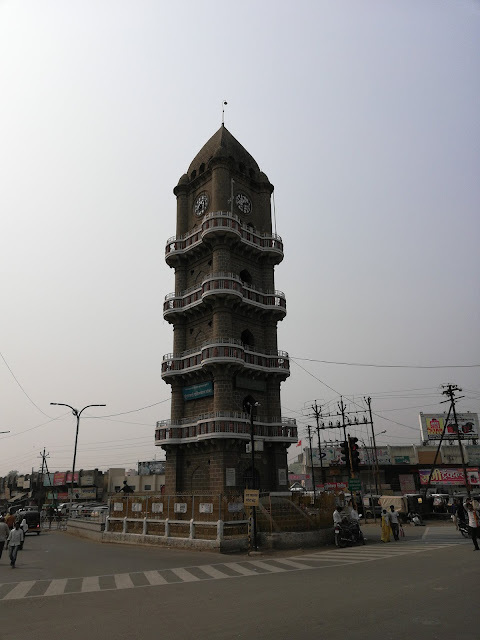 After spending a few hours in this town of Yavatmal, we headed towards Akola. Akola has been a bustling town during the Rashtrakutas and later fortified by Aurangzeb during the Mughals. 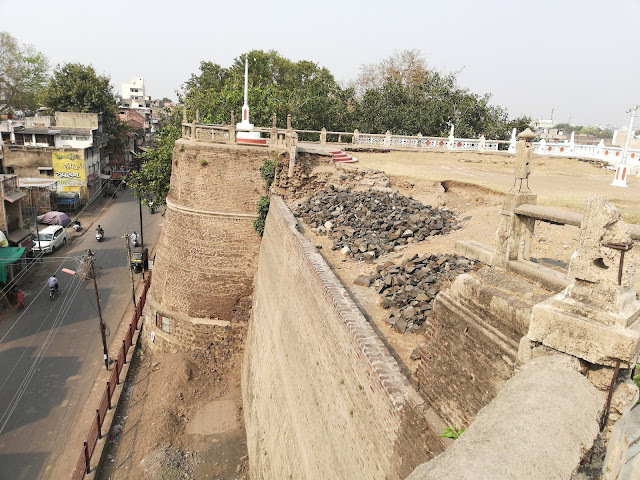 The fort however is now completely encroached and only one gate of the majestic fort remains. 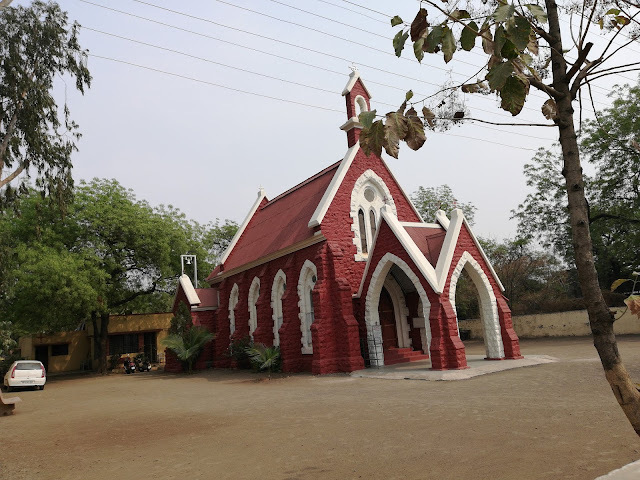 The town also has a beautiful All Saints Church, built in 1873. While growing up at Yavatmal, we used to make fun of Shakuntala Express by calling the slow runner or slow thinker as "Shkuntala"! 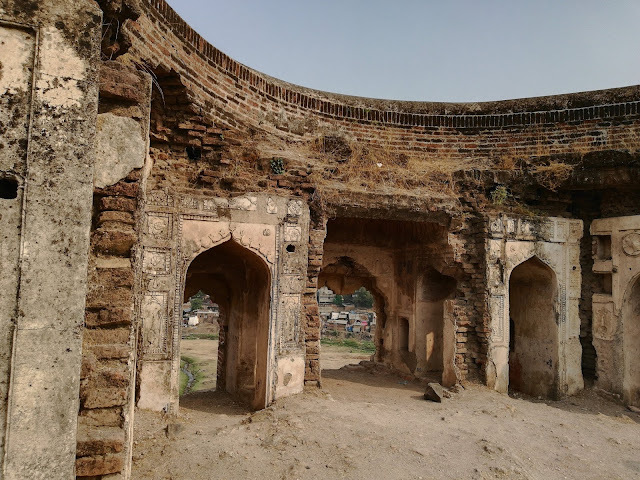 It was really a sad moment when I learnt in paper that the services of Shakuntala had been stopped. Thanks for giving me a trip down the memory lane. In this rich diverse land of India, there are many quaint, charming places that are known in some cases, but are not popular. Thanks that you are coming out with some of them. Thanks for providing this informative and comprehensive blog. This is very interesting article. The pictures are really beautiful and the way you explained about the places to visit. 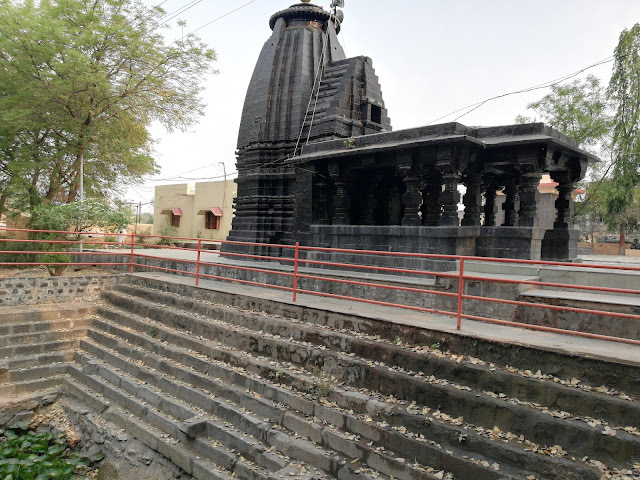 For travelers, we provide taxi services in all over India, more details visit our sites:- Taxi Services in Mathura, Taxi Services in Allahabad , Taxi Services in Vadodara, Taxi Services in Gorakhpur, Taxi Services in Rameshwaram . Great Article! Thanks for sharing, the taxi services is one of the best choice to take our ride at affordable price rate. i prefer the innova car rental in chennai to take my trip at anywhere anytime.